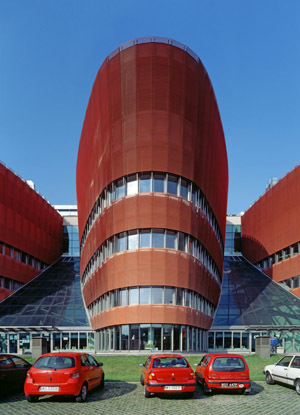 Management University (WSM) in Warsaw is one of the most modern universities in Poland, with a total area of 21,534 sqm. 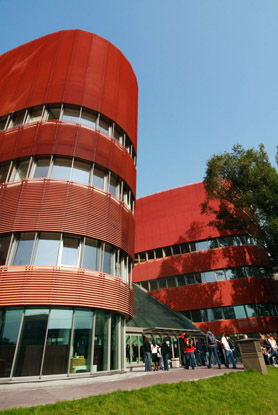 The campus of WSM includes: a lecture hall for 700 people, a cultural library and modern classrooms along with a full-size sports hall and swimming pool. 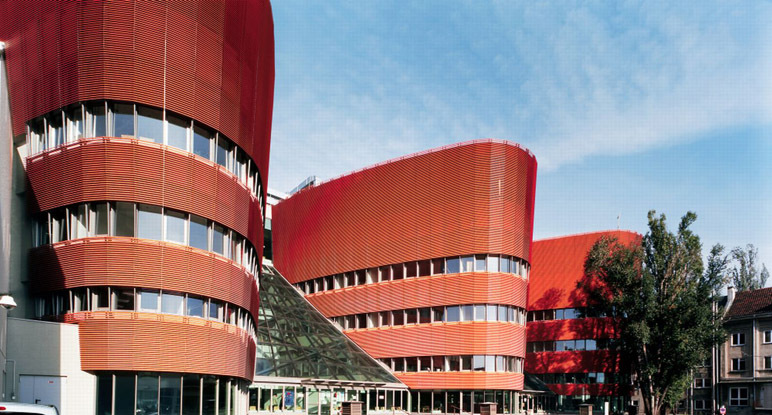 The university features a perfect atmosphere for education and sports. 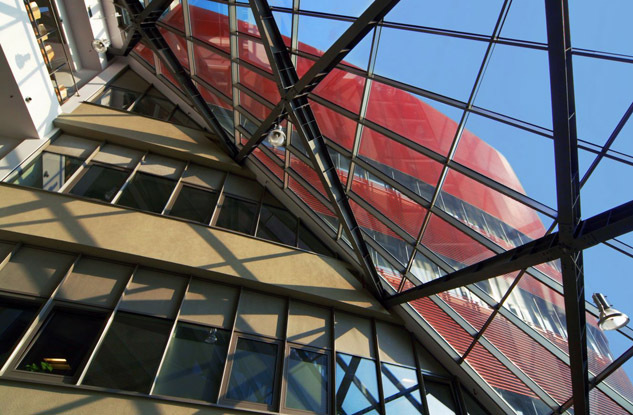 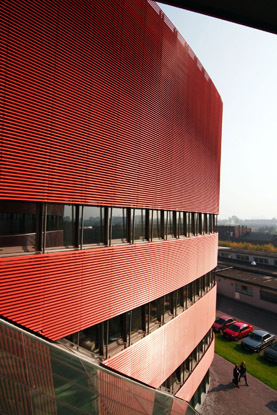 Thanks to the university’s innovative idea, “Campus III-go Millennium”, the university inscribed in the context of harmonizing industrial areas of Old Prague. 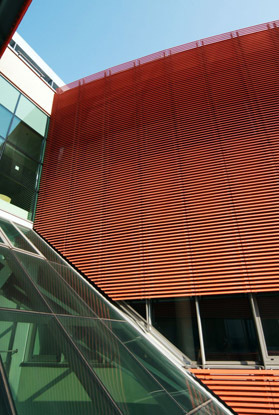 The university campus also contributes to the revitalization of the existing old factory building around it. 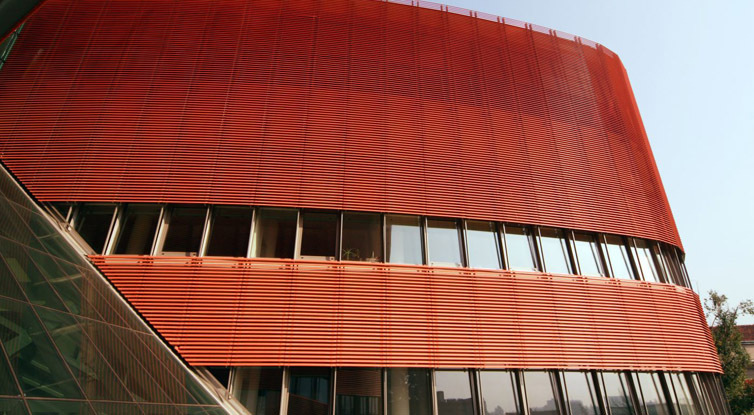 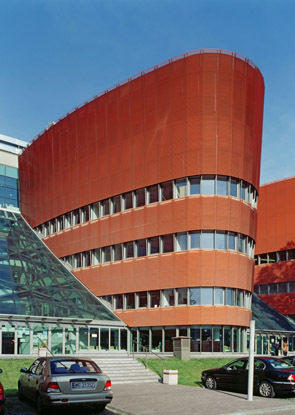 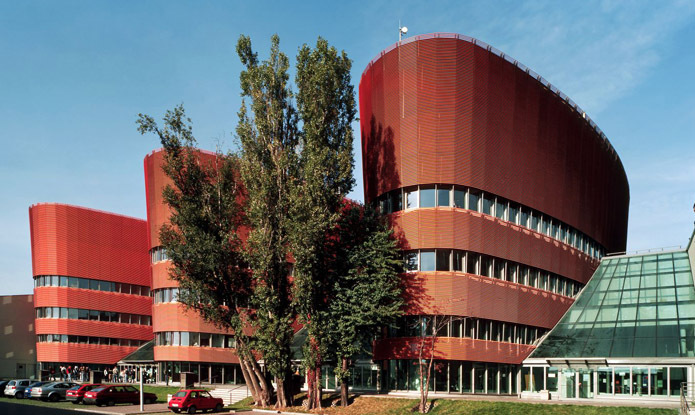 The architect, Czuba Latoszek chose Hunter Douglas Architectural Products 84R as the main facade system. 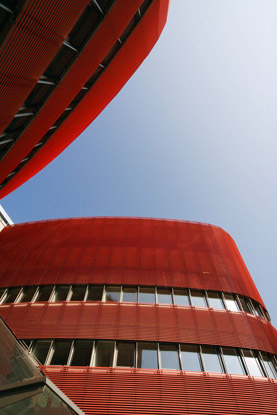 The modernity, professionalism and elegance of the university are well presented by the flatness, smoothness and the delightful light effect of 84R.